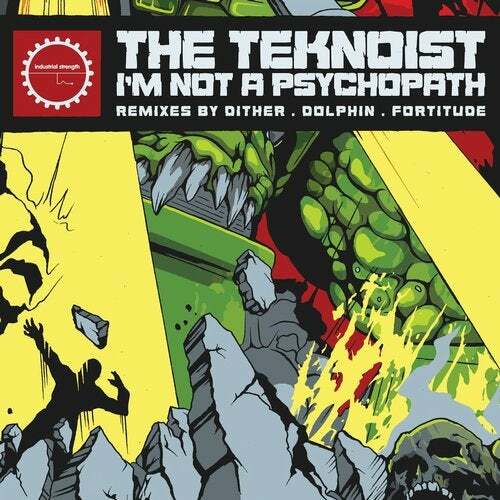 Straight off the back of The Teknoist's last outing in aggressive audio experimentation comes 3 remixes of 'Im not a psychopath' by 3 hand picked masters of their field. Dolphin supplies his trademark gargantuan robotic core, Dither does what he does best by making a 4 to the floor driver and then there is Fortitude, adding what he thinks the track should sound like by making a breakbeat driven drum and bass roller. The ep obviously comes with The Teknoists original power number so all in all you have something for any crowd or even just moment to yourself. Either way, something huge will be filling someones ears at some point each day from the moment this is released.